Lockout/tagout violations remain among the most cited OSHA-related violations. OSHA-related fines can accumulate and run into the hundreds of thousands of dollars. But those costs generally pale in comparison to the costs associated with legal liability which can cost businesses millions. However, proper training and adherence to LOTO standards can limit, if not eliminate, those costs. 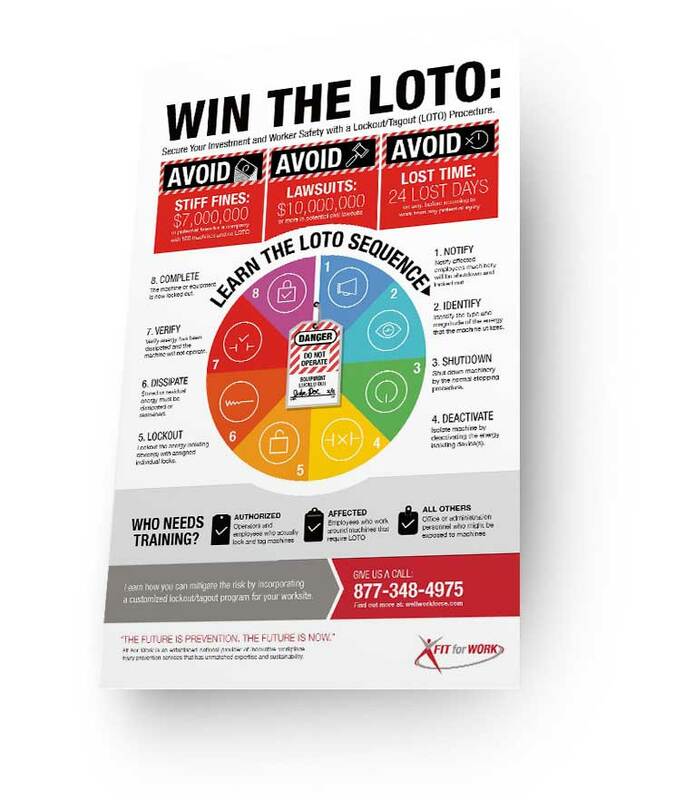 Download our printable infographic to learn about the importance of a LOTO program in the workplace. Don't miss out! Last chance to register for the free webinar, Control of Hazardous Energy—Making It Simple Is Not So Hard, happening tomorrow, Thursday, June 29th 1:00-2:00PM CST.